Welcome to Franz Kafka online, a website dedicated to one of the most acclaimed and influential writers of the twentieth century. 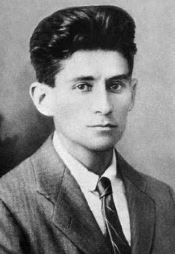 His complex and impersonal stories are so unique that his name inspired an adjective - kafkaesque. "I need solitude for my writing; not 'like a hermit' - that wouldn't be enough - but like a dead man."